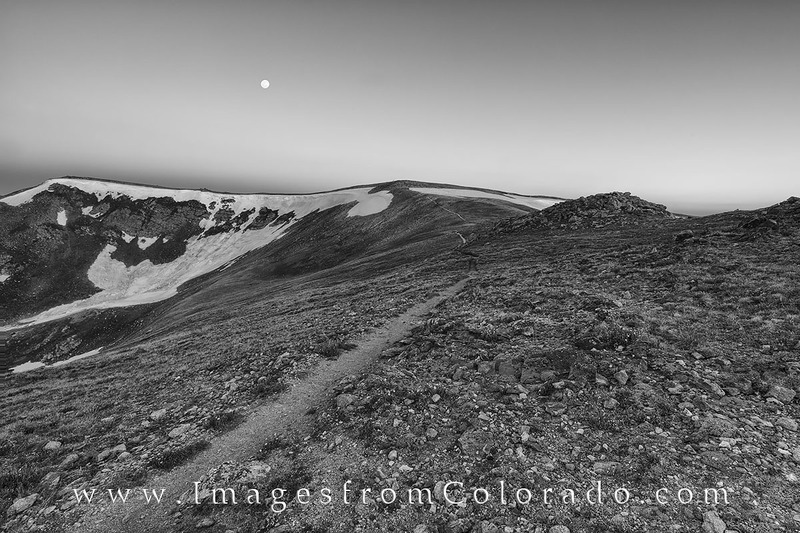 This black and white Colorado photography shows the Continental Divide Trail near Berthoud Pass. From there, the path leads to Russell Peak, then onto No Name Peak. As a full moon sets in the southwest, the day begins above treeline in the Rocky Mountains. Photo © copyright by Rob Greebon.